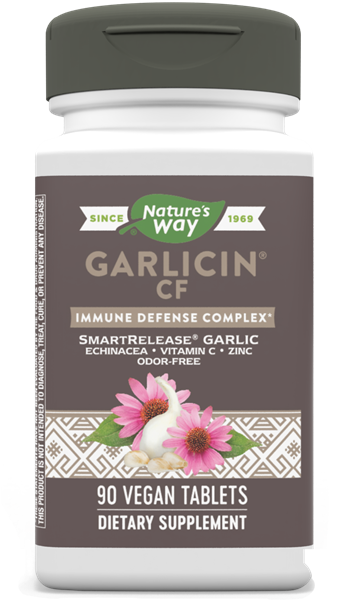 Garlicin CF / 90 Tabs - Nature's Way®. Do not use this product if you have a bleeding disorder, are taking blood-thinning medication, or are within a week of any surgical procedure. Not recommended for individuals with autoimmune conditions. Persons with allergies to plants of the Asteraceae (Compositae) family, including ragweed, should use this product with caution. If pregnant, nursing, or taking any medications, consult a healthcare professional before use.